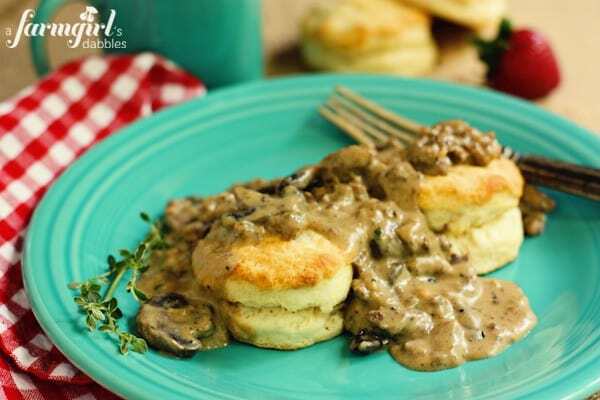 Ultra-tender cream biscuits are the base for this Biscuits with Sausage and Mushroom Gravy meal. My husband is a breakfast man. It’s his favorite meal, whether it’s soft eggs and bacon, cajun eggs benedict, waffles, or pancakes. But his favorite breakfast indulgence is, by far, Biscuits with Sausage and Mushroom Gravy. He hesitates to order it at restaurants, however, as he’s been left disappointed far too many times. Instead, he waits for me to make it every now and then at home. Yes, this recipe is THAT GOOD. When I say “every now and then”…well, that actually means about twice a year, as I’ve never had a from scratch recipe that I’ve been proud of. Long ago, a friend served me biscuits and gravy using canned biscuits and a gravy made from a can of cream of mushroom soup. I can’t deny that, with some tweaking of the soup, it’s very good, and Blake loves it. 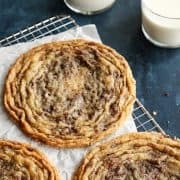 But creating my own recipe for biscuits and gravy has been on my list for a number of years, and after baking biscuits at the Southern Baking Retreat in Nashville (read past the recipe for a trip recap!) a couple weeks ago, I knew it was time! 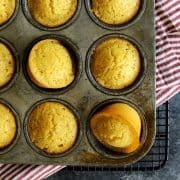 That baking retreat introduced me to White Lily flour and the most awesome biscuits I’ve ever bitten into! And lucky ducky me…I got to bring some home with me so I could bake more of those same biscuits for my family. 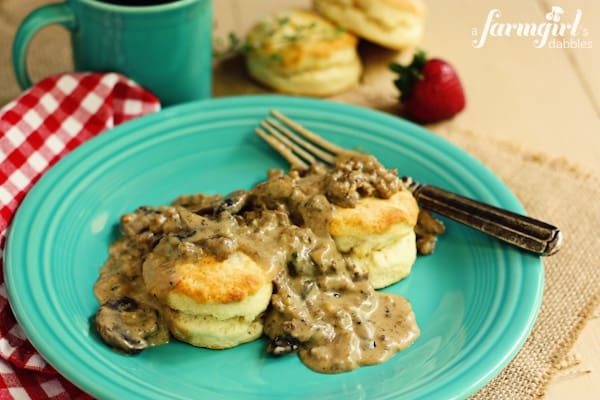 These Biscuits with Sausage and Mushroom Gravy are all that I had hoped to sit down to at our home breakfast table. The biscuits are soft and tender and fluffy, oh so yummy. And the gravy is super flavorful, with plentiful nuggets of pork sausage and fresh mushrooms throughout. A sprinkling of fresh thyme makes it extra special. Lookin’ for a fabulous weekend breakfast plate? You can stop searching right now. This is it! Place flour in large bowl. With a large wooden spoon, gradually stir in cream to form a sticky dough. Turn dough onto lightly floured surface and fold twice gently to form a ball. Do not knead. Gently pat dough to a generous 1/2” thickness. Cut with floured 2-1/2” biscuit cutter, leaving as little dough between cuts as possible. Gather remaining dough and pat again to a generous 1/2” thickness. You should get 8 biscuits with a 2-1/2” biscuit cutter. Discard scraps. Place biscuits on baking sheet, about 2” apart. Generously brush tops with melted butter. Bake 8 to 10 minutes, or until tops are golden brown. Serve hot and fresh! In a large cast iron skillet or a skillet with tall sides, brown sausage over medium-high heat. Break up the sausage and let it brown it for a couple minutes, then turn heat down to medium. Continue cooking, continuing to break up the sausage into smaller pieces. When just a little pink is remaining in the sausage, stir in the onions, mushrooms, and garlic. Cook until the onions are transparent and the mushrooms are nicely softened, about 6 to 10 minutes. Now slide everything in the skillet to one side. Add butter to other side of skillet. When the butter is melted, sprinkle the flour over the butter, whisking all the while (a flat whisk works awesome here!). Draw in as much butter and sausage fat as you can, into the flour. Cook for 4 to 5 minutes, until the mixture is bubbling and slightly browned. Stir in soy sauce, Frank’s RedHot Sauce, and Worcestershire sauce. Cook for 1 minute. Then slowly add the milk while you whisk and scrape the bottom of the pan. Once this mixture is smoothed out, bring the sausage and mushroom mixture into the milk mixture. Stir to incorporate. Cook until thickened, about 15 minutes. Then stir in sour cream and thyme, and season with plenty of freshly ground black pepper. Serve over hot cream biscuits. Biscuits adapted from White Lily Cream Biscuits recipe. Sausage and Mushroom Gravy from a farmgirl’s dabbles. 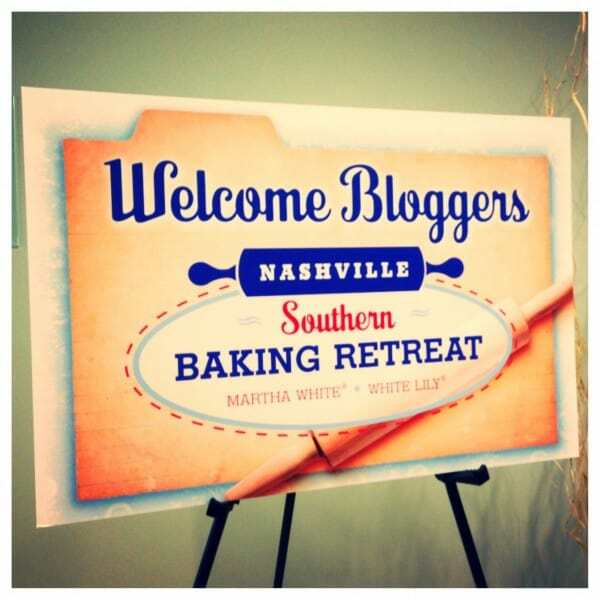 I was recently invited to Nashville to spend a couple days at the Southern Baking Retreat. This inaugural event was hosted by Martha White and White Lily, two brands deeply rooted in Southern history, and both of which are owned by the J.M. Smucker Company. 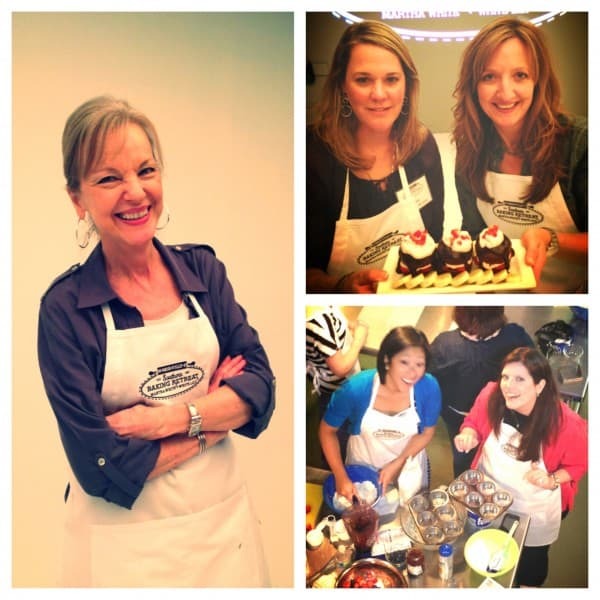 This trip to the Southern Baking Retreat was so much fun for me. 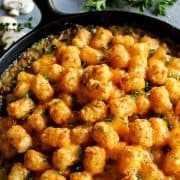 Coming from the Midwest, my food traditions revolve around recipes for bars and hotdish and such. 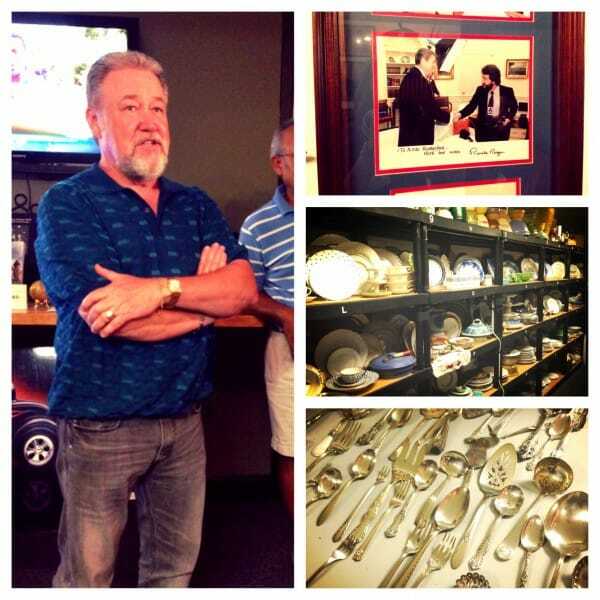 So being able to learn about and sit down to famous dishes from the South…well, it was a real treat! 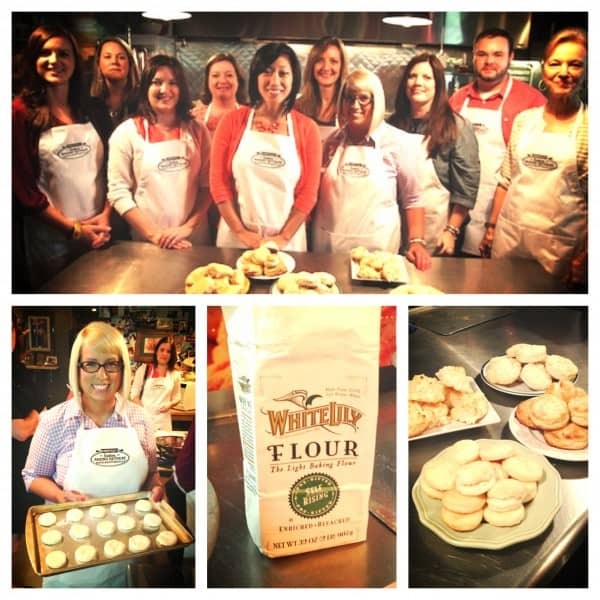 Our first day was spent learning about the Martha White Company, which produces flour, corn meal, grits, and baking mixes. Sitting there in Nashville, in the land of country music, it was fun to learn that Martha White sponsored its first Grand Ole Opry show in 1948, and and has been a part of the world’s longest-running radio show every week since. 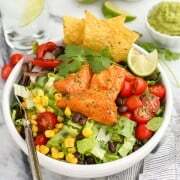 While we sat down to a super tasty meal of winning recipes from the Cornbread Festival (check out the recipe for “Roasted Poblano Chicken Posole with Floating Corn Cake Islands”…so wonderful! ), we were introduced to the very lovely Linda Carman (photo: left), who has been heading up the Martha White Test Kitchen for 20 years (wow!). 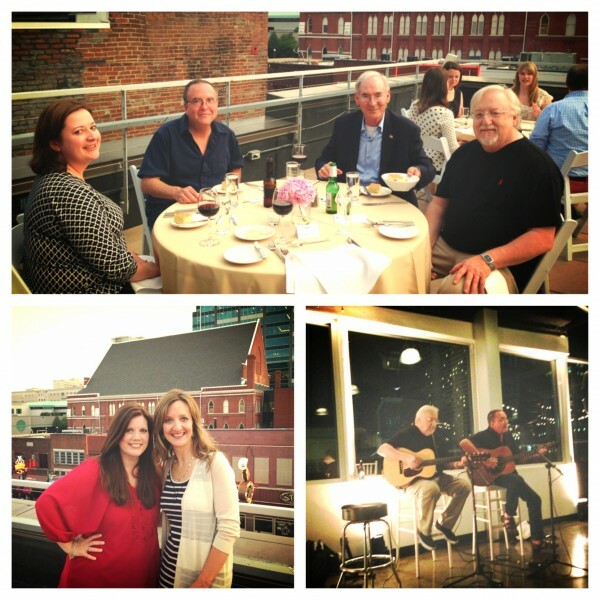 That evening we dined on the roof top, with a fabulous view of downtown Nashville. It was so wonderful to finally meet Robyn from Add a Pinch (photo: lower left…and that’s the Ryman Auditorium in the background). She’s such a sweetie, and I love following her Southern life. My table companions for dinner were (photo: top), from left to right, the very lovely Jennifer from Bake or Break, Tony Arata, John Van Mol, and Pat Alger. John is the Chairman of the Board at DVL. And both Tony and Pat are award winning country music songwriters who actually performed a number of their songs for us later in the evening (photo: lower right), along with bluegrass musician and singer Rhonda Vincent (what a little dynamo, she is!). I had always thought it was something special to listen to country music artists live in concert. But let me tell you, it was even more special to hear the songs you’ve grown up with, being sung from the original songwriters. Tony and Pat have written songs for the likes of Garth Brooks, Don Williams, Dolly Parton, Hal Ketchum, Bonnie Raitt, Trisha Yearwood, Emmylou Harris…the list goes on and on. I’ve been to a number of live concert performances in my life. But none as special as this. 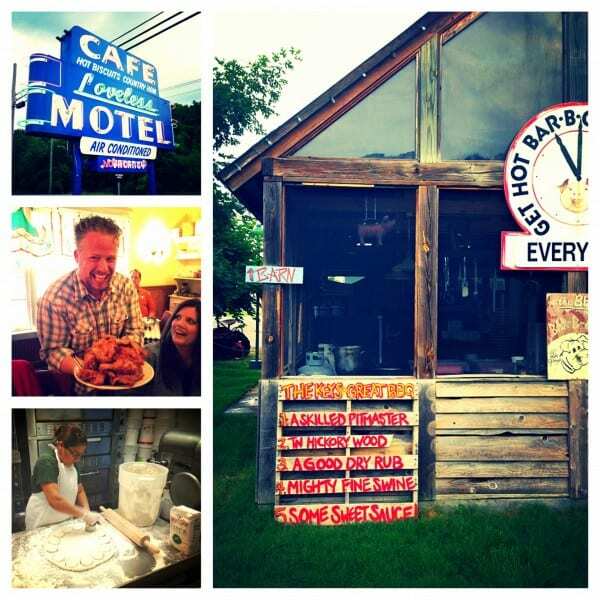 The next morning brought one of the most memorable breakfasts I’ve come by yet, at the famous Loveless Cafe. I had my first experience eating sorghum molasses and grits (both delicious!). And our group devoured tender flaky biscuits and the-best-fried-chicken-I’ve-ever-had. For breakfast! It was awesome! And when we could absolutely eat no more, we headed back to Rutherford Photography to hear from Robby Melvin, the Test Kitchen Director for Southern Living magazine. And we baked biscuits with White Lily flour. And then we proceeded to eat them. Even though we were still stuffed. Ohhhhh, they were heavenly. 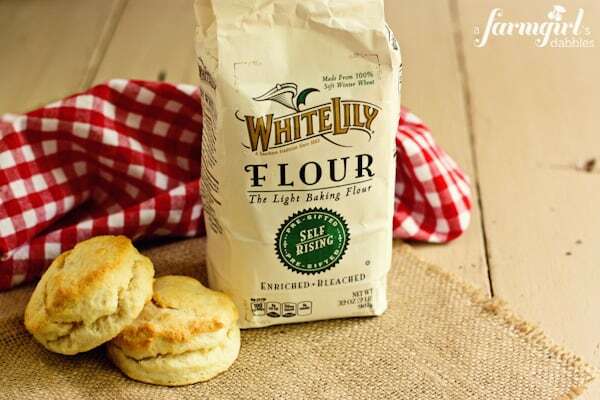 I had no idea what a staple ingredient White Lily flour is to the Southern kitchen. It’s made from soft red winter wheat, and yields an extremely tender biscuit with higher volume. I love their message about how important it is for everyone to not only learn about their food traditions, but also to teach others about them, and to share them! Again, we divided into teams of two and put our aprons on. There’s my lovely Southern baking partner, Brandie from The Country Cook (photo: lower left). Her smile and contagious laughter eased me through my biscuit lesson, as I quickly found out I had alot to learn! And the grand (pun intended) finale was a stop at the Grand Ole Opry, country’s most famous stage. We actually stood on the stage and gathered around that famous six-foot circle of oak cut from the Ryman, where hundreds of top music artists have stood…and we sang. Yes, together we sang, “You Are My Sunshine”. And I got kind of choked up. It’s a song that my dad has always sung to me and my sisters, and he now sings to our kids. And just moments before starting the Grand Ole Opry tour, I received a text from Mom, saying she and Dad were seeking shelter in the crawl space of their home in South Dakota. Tornadoes were on the way. Needless to say, my mind was finding it hard to concentrate. Thankfully, they were just fine, except for a very messy yard to clean up from the high winds. And now I leave you with my Instagram photo of the “most awesome biscuit ever!”. Isn’t it lovely?! I was experimenting with White Lily flour this past weekend and made quite a few pans of fabulous biscuits. This one was my Chosen One. And this happened because a farmgirl from the Midwest got to fly south to the Southern Baking Retreat. Thank you so much to Martha White and White Lily for showing me your wonderful Southern Hospitality. And a special thank you to Tony Arata and Pat Alger for a magical evening of original country music. 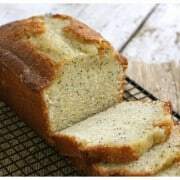 Disclosure: I was invited to the Southern Baking Retreat on behalf of Martha White and White Lily. I was not compensated to write this post. All opinions are my own. Made this for supper, served with fruit – whole family LOVED it! I did use 2% milk in the gravy, dried thyme, and 1/2 tsp of hot sauce (wimpy family! ), and it was still delicious!! Thanks for a great recipe! As much as I LOVE biscuits and gravy, can you believe I’ve never made them at home? Looks like such a fun retreat! You can bet we’ll be eating ALOT more biscuits around here, such a treat! My husband is a breakfast person too, he would kill for something like this!! That retreat looked so much fun. Although I live in the “south” I am so not familiar with real southern cooking (I’m an Italian NY transplant). I did work at Cracker Barrel for a good amount of time in college and got a taste or two of some southern cooking :) Biscuits and gravy are such a delicious splurge, yours looks AMAZING. I would love to sit down to this one morning! Thank you so much, Aggie. It’s definitely a splurge. Thus, my only making it a few times a year! Delish! It was fun following your baking trip on instagram, everything looked so delicious! This gravy is making me hung-greeeee! That trip was awesome! The people, food, city of Nashville…all so wonderful! Make this biscuits and gravy, girl! That retreat looks like my dream come true! Looks like such a great time! I will have to try the biscuit recipe. They look delicious! My husband also begs for breakfast… especially bicuits and gravy! :) Thanks for sharing! Looks like you had a blast. My husband also LOVES breakfast and a good recipe for biscuits with sausage gravy. But adding in mushrooms… wow brings it to a whole new level! I have probably eaten a ton of sausage gravy in my lifetime, but never with mushrooms. I must try it soon! I love making biscuits, but I’ve never tried making cream biscuits. 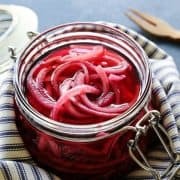 I must try this recipe! What a great account and pics from your trip! 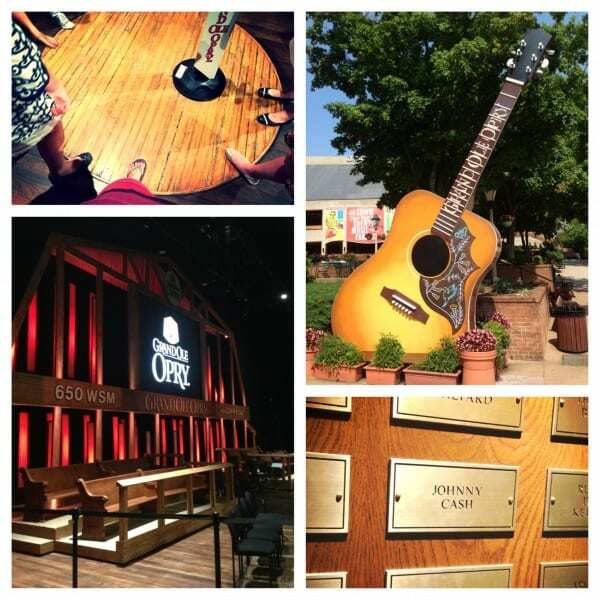 How awesome you got to stand on the stage at The Grand Ole Opry! I’d have thought I died and went to heaven! Can’t wait to try this recipe. I will check at our local grocery store to see if they sell th White Lily brand here, but I’m in Michigan, if they don’t sell it in Min. I’ll probably have to get it on line too. Enjoyed your post Brenda! I am NOT a biscuits and gravy fan. But I would eat these!!! They look yummy! Looks like you had a great time! And dude, these biscuits and that gravy?! SWOON! Jason is a huge breakfast man either and he would go over the moon for these! Just made these after seeing the blog post. 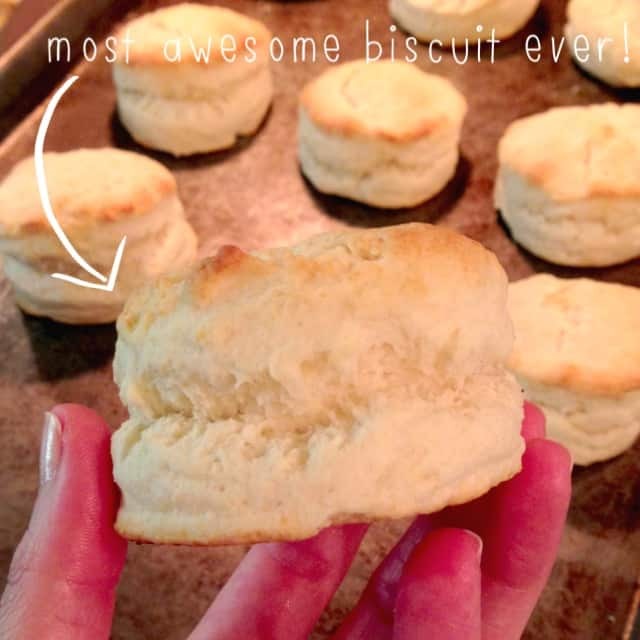 I’m not a big biscuit girl, but the hubster loves them. I too didn’t have a good from-scratch recipe. Made my own self-rising flour and whipped these up. O-M-G. I’m a convert to the biscuit mania! 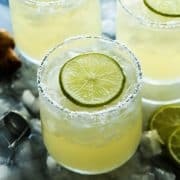 You made these already?!?! Wow, you’re quick! I experimented with making my own self rising flour, and the biscuits still did not turn out the same as when using White Lily. If you are able to, get your hands on some White Lily. SO GOOD! what a fun trip!! Those biscuits do look great! I’m normally a sausage gravy and biscuit kinda girl but mmm mm mm at the mushroom gravy! 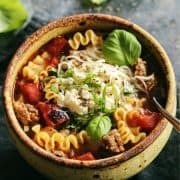 Definitely try it with mushrooms, so good! Have to admit I am not one to eat biscuits and gravy. BUT, these look irresistible! I think these could change my mind. Oh those biscuits! My goodness I am in LOVE! I can’t stress enough how much difference the White Lily makes in a biscuit. Fabulous! AHHH so much fun!! I miss you lady! I’ve been spoiled seeing you twice in 2 months :) this is a perfect post to sum up the trip. 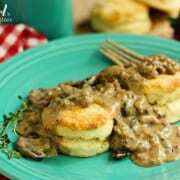 i love that you made the cream biscuits with the sausage & mushroom gravy..you’ve got me craving them now! looks like SO much fun Brenda!! I’m so disappointed I had too much going on at that time to attend. Biscuits and gravy is my all time favorite comfort food!! this looks delicious! I’m sorry you had to miss out, Cheryl – it would have been so nice to see you there! Everyone was so great, and I loved Nashville, too! Oooh, total comfort food! LOVE!! You’re always so kind and encouraging, thanks Donna! It was a wonderful trip! I’m the same as your hubby with biscuits and gravy in restaurants – too many times I’ve left not really enjoying the dish! These, though, OHMIGOSH. WANT! Thanks, Heather! Definitely give these a try. You’ll never feel the desire to order them at a restaurant again! You are speaking my Southern language right now. Your retreat looks like so much fun! I’m jealous! We have biscuits every Saturday morning. I will have to try your recipe out! I also like the addition of mushrooms to your gravy. We don’t eat pork, so white gravy is always so meh. 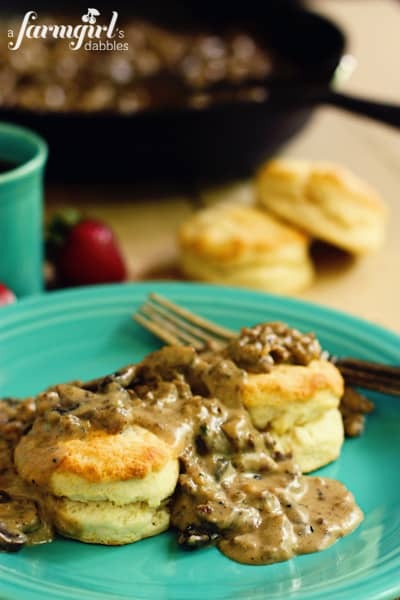 I never thought of putting white mushroom gravy over biscuits. Thanks! Wow, every Saturday? Now that’s a tradition! Hope you like the mushroom gravy! Oh mercy, you put the gravy on there. Dang, you need to live closer! I would have been running over to your house! You are such a gifted photographer. These photos are gorgeous! I am so thankful I had a chance to meet you. I will remember the experience forever. Maybe we’ll get to do it again. Loved reading your post! Thanks Brandie – it would be wonderful to meet up with you again!! Mushroom gravy, what?? Biscuits and gravy are my favorite, and I’ve never had it with mushroom. Can’t wait to try!! This looks like it was so much fun, and one of my favorite brands! I was so happy to be introduced to White Lily. It’s not sold up here, but thankfully I can get it online, yay! Thanks, Sandy. Yes, you’re right, I wouldn’t turn these down for any meal, any time of day! What a fun retreat! I love good, messy plate of Southern comfort food. This looks so scrumptious, Brenda! Thank you so much, Georgia. It was so fun to be immersed in Southern food culture for a couple days!